Video interviews usually take place after a phone screen but before an in-person one. 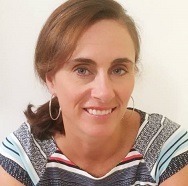 In fact, it has become quite common to have two or more virtual interviews before you ever head on over to an office to meet someone face-to-face. Below are 5 Video Interview Do’s and 3 Don’ts to help you nail it! Virtual interviews are usually shorter than in-person interviews — however, depending on the interviewer, can take as little as 15 minutes and as long as an hour. My recommendation? Ask how much time to allot and add 15 minutes to your schedule – just in case. Because every technology has its quirks, I recommend you familiarize yourself with the platform once you know its name. Specifically, know where the mute button is and how to turn up (and down) the volume. Make sure whichever device you will use (laptop, desktop, tablet or cell phone) is plugged in and/or fully charged. Lighting is critical – avoid appearing like a dark shadow by placing a lamp or other light source in front, rather than behind, you. Practice with someone you trust on the other end. Make sure you are comfortable looking at the webcam when speaking rather than at the interviewer’s face. Print out a hard copy of your resume, along with the job posting or description. If you are conducting this from home where family members will be present, consider hanging a “do not disturb” sign or at least warning all to stay clear of you during the call! Be sure to silence notifications on your devices your conversation does not get interrupted by beeps and pings. If using a desktop monitor or laptop, I recommend propping it up so as not to be peering down, and practice sitting where your torso is centered in the webcam. Be prepared with a list of questions, along with talking points that speak to your accomplishments and any info you uncovered through company research. Dress from top to bottom as you would for an in-person interview. Sweatpants with a shirt and tie won’t cut it. Even though it is likely the person at the other end will only see your top half, it’s better to prepare for the unexpected, and you may feel more prepared when you look the part. Instead, I recommend limiting note-taking if possible, and if you must take notes, do so with pen and paper rather than keyboard typing. The latter may make you come off as distracted. Remember to pause before answering questions. Time lags or buffering are sadly more common than you think and jumping too quickly to respond may appear as interrupting. It’s important to have it handy in case you’re asked to schedule a follow-up interview! 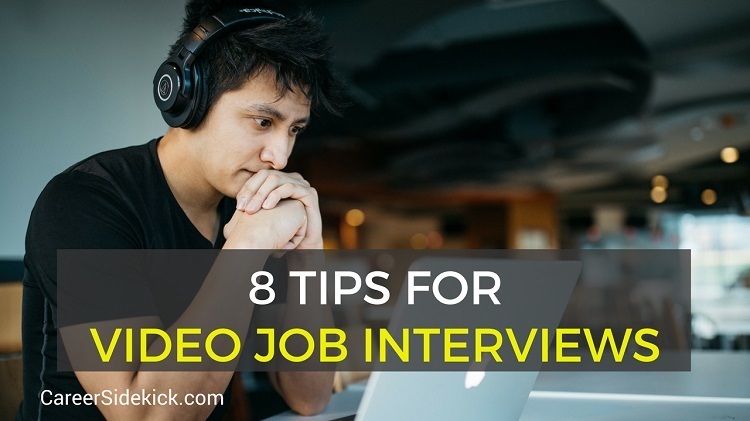 It’s becoming more likely you’ll be asked to do a video interview in any job search, and if you’re looking for jobs in a new city, or interviewing for a remote position, you’re even more likely to come across a video job interview. While practice and preparation may not lead to perfection, it can at least help you avoid an embarrassing interview mistakes. Succeed by following these tips for online video interviews and you are one step closer to the critical face-to-face interview!